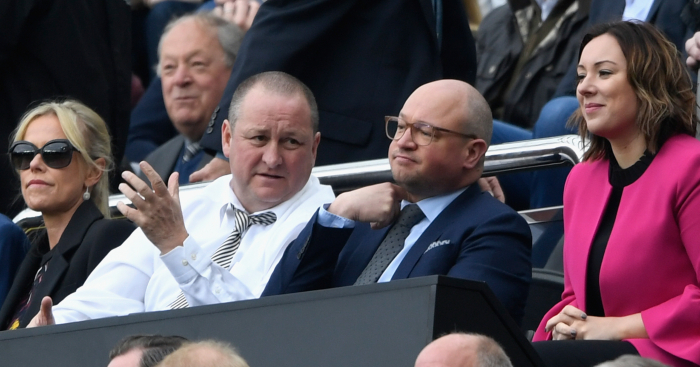 Mike Ashley is resigned to having to foot the bill for Newcastle’s January transfer business as takeover talks have stalled. Press Association Sport understands there has been little or no contact with the four parties who have expressed an interest in buying the club – among them is a consortium led by former Manchester United and Chelsea chief executive Peter Kenyon – for several weeks. Ashley, who had initially hoped to strike a deal by Christmas, placed the ball in the court of potential purchasers in December after revealing talks were at a “more advanced” stage than ever before. However, as was the case when Amanda Staveley’s PCP Capital Partners launched its bid 12 months ago, no meaningful progress has been made since, despite Kenyon writing to the current owner to express his ongoing desire to buy the club. With almost three weeks of the winter transfer window having elapsed and manager Rafael Benitez still awaiting the reinforcements he believes he needs to pull off another Premier League survival mission, the club’s need is growing more acute by the day. Now Ashley, who was due to attend Saturday afternoon’s crucial home clash with fellow strugglers Cardiff, has all but accepted he will have to foot a bill he hoped would be somebody else’s concern. History suggests that any investment will be modest, with loan deals more likely than permanent acquisitions. However, it is understood the Magpies have not completely given up on Atlanta United playmaker Miguel Almiron, whose £25million fee and wages in excess of £100,000 a week would represent a major departure from the club’s recent policy. Meanwhile, sources on Tyneside were mystified by claims former executive football director Dennis Wise had been welcomed back into Ashley’s inner sanctum after playing a role in the billionaire’s Sports Direct business stocking Rio Ferdinand’s FIVE clothing brand. The post Almiron still possible as Ashley changes tact on Newcastle transfers appeared first on teamtalk.com.